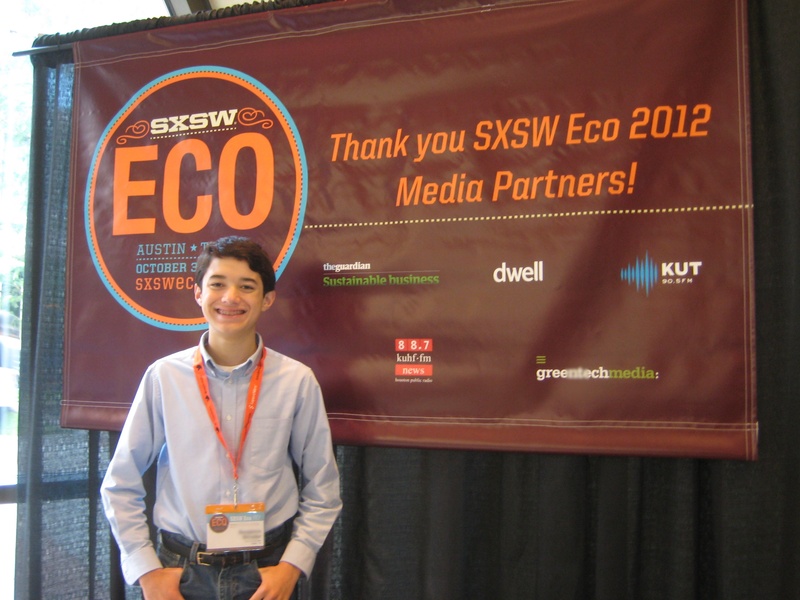 After checking in at SXSW Eco at the fantastic UT Austin AT&T Conference Center, I headed over to Rm. 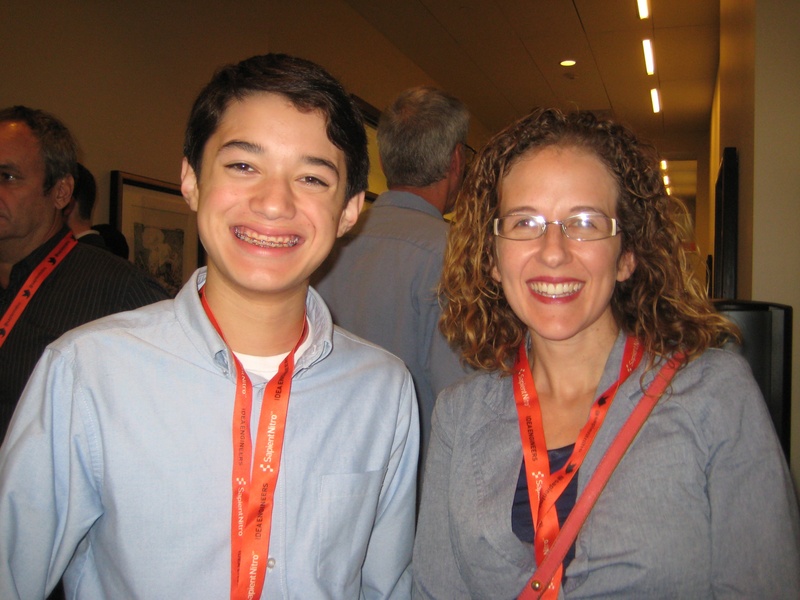 103 to attend a talk titled Fighting Food Insecurity with Urban Agriculture in Austin…and guess who I got to meet? 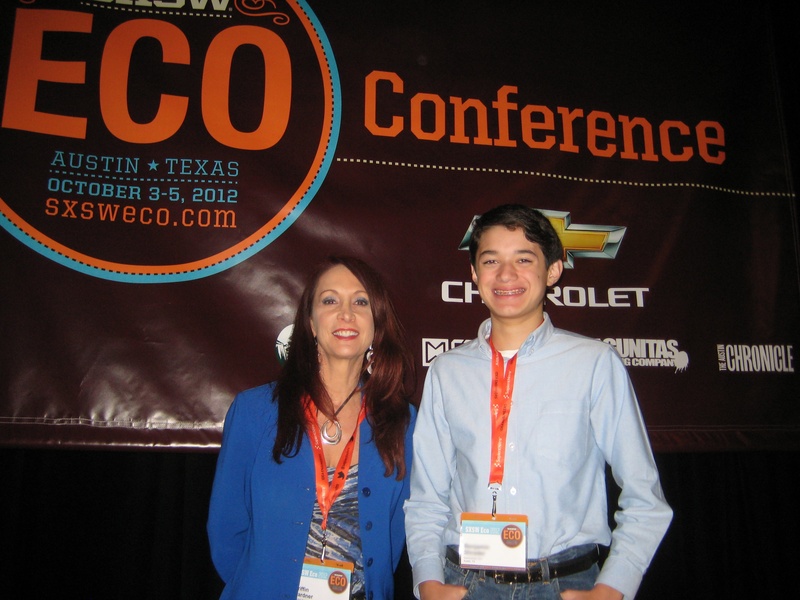 Ms. Addie Broyles, a food writer for the Austin American-Statesman! Next I walked over to Rm 204 to attend the Filmmakers Clean Energy Confab. I took my seat in the second row and that’s when someone in the front row turned around and said, “I know you, you’re famous!” It was Ms. Griffin Gardner, UT Austin Media Coordinator, who remembered taking a picture of me at the UT Austin Environmental Science Institute (ESI) Hot Science – Cool Talks event. I’m not sure if I’m really famous, but Ms. Gardner made my day! Next, as I headed out to lunch, I ran into Mr. Stephen Vogelpohl who recognized me from the Lights. Camera. Help. Focus on Good Film Festival. Mr. Vogelpohl is with Social Good TV. We talked about future projects we’re both working on, and he encouraged me to continue making great films for good. Today is the big day! As I mentioned in my earlier posts, I’ll join Ms. Jessica Strickland, Invasive Species Program Manager at the Lady Bird Johnson Wildflower Center; Dr. Damon Waitt, Director Native Plant Information Network; and an elite team from the Wildflower Center and the Green Army to map invasive species as part of the conference events. Let’s find the Giant Reed (Arundo donax), Elephant Ear (Colocasia esculenta), and all the invasive plants that may be along Waller Creek in Austin, Texas! P.S. Tomorrow’s the last day to vote! 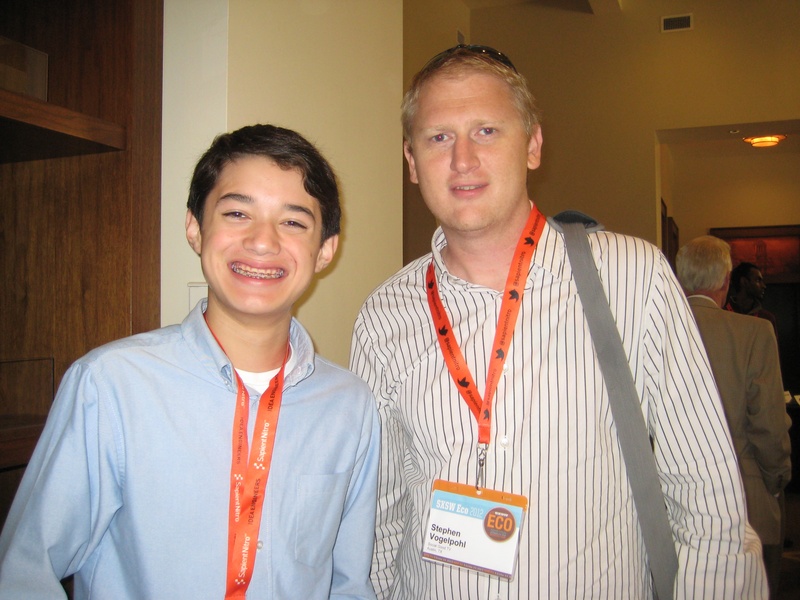 Please vote for my SXSWedu presentation, “What Invasive Species Taught Me About Dyslexia”. I’ll talk about my great experiences with the Wildflower Center and Learning Ally too. Thanks! 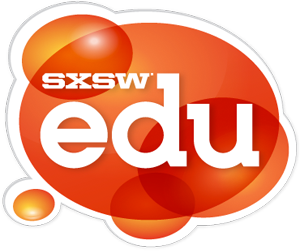 I submitted a presentation proposal for the SXSWedu 2013 conference, that will be held from March 4-7 in Austin, Texas. I’ll talk about how I use technology to work with my dyslexia and use my strengths to help others and our native ecosystem at the same time. Since SXSWedu takes into account public voting in their PanelPicker tool to determine what presentations to choose for their conference, I hope that you’ll vote for my presentation! 🙂 Voting ends on October 5. The Giant Reed and Elephant Ear. It was a lot easier to take down these invasive species than to read about them. I longed to battle these exotic plants in nature than confront them on the printed page, where they had the advantage. Rather than give them the upper leaf, I embraced technology to discover more about my opponents and learn how to defeat them. Join me as I share my journey as Commander Ben, The Invasive Hunter, and describe the tools and techniques I use to protect my native ecosystem and tackle my dyslexia. It’s been a hard path, but I’ve learned to work with my dyslexia and use my strengths and unique teaching style to help others and our native ecosystem at the same time. I’ll share with you new ways to help your dyslexic students, so they can become Invasive Hunters both on and off the printed page!